It is a universal truth that no one can stay forever young. As age increases, the overall beauty of the face and the sparkle goes and leads to wrinkles. Many men and women are always trying to look young and they use cream to let it live. It negative impacts on their skin. Cosmetic makes the good outside skin but it has not good effects inside the skin. 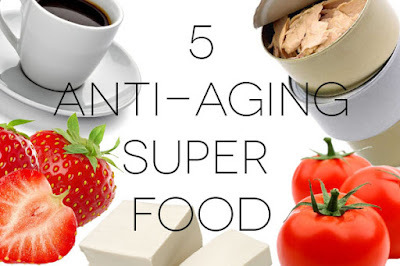 You should concentrate on your food habits and lifestyle for good skin. You should include certain vegetables and fruits in your diet. Beans: Beans has protein and fiber which has low carbohydrates. Therefore, it has no fat and it keeps body healthy. It is anti-aging vegetable. Solomon: Solomon is one type of fish, which has omega-3 fats. The skin becomes shiny and digestion system improves due to its consumption. Turmeric: Turmeric is the best anti-aging agent. It has antioxidant and anti-inflammatory properties, which keeps digestion good and pause the age. Almonds: Almonds contain vitamin E, which is very good for the skin and hair. It also contains magnesium that tends to slow down the signs of aging.